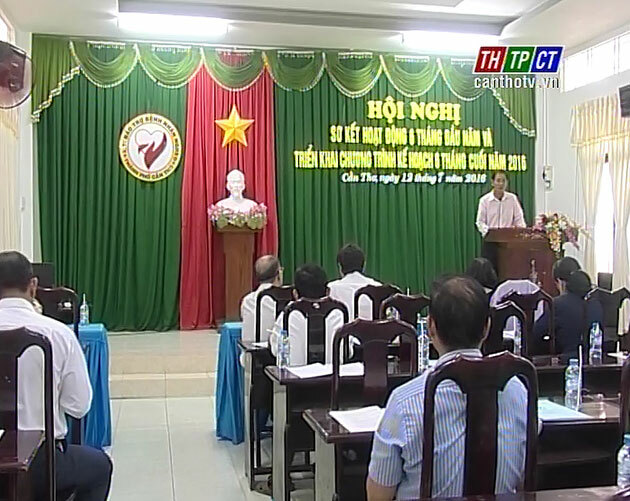 On July 12th, Cần Thơ city Sponsoring Association for Poor Patients reviews tasks in first 6 months and proposes missions from now to year-end. First 6 months, the city Sponsoring Association for Poor Patients mobilized more than VND 16 billion 500 million from sponsors, and offered to social voluntary programs such as Bringing light for poor blind people, Offering wheelchairs to handicapped people, Helping poor children, who suffer heart diseases from birth, For Children’s Smiles, so on and so forth, with the cost over VND 15 billion 700 million. From now to the end of 2016, the city Sponsoring Association for Poor Patients continues promoting propaganda, mobilizing domestic and foreign sponsors, implementing voluntary programs, caring, offering gifts to poor people to welcome Tet holiday./.